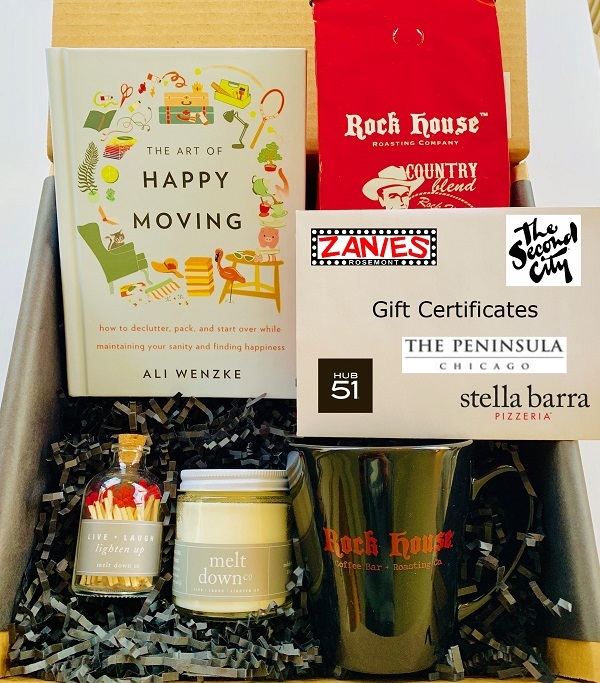 “We are thrilled to host the release party for Ali Wenzke’s new nonfiction book,The Art of Happy Moving: How to Declutter, Pack, and Start Over While Maintaining Your Sanity and Finding Happiness. It’s especially gratifying because Ali is such a wonderful supporter of authors in real life (She attends a lot of our events!) and on social media, where she is active, helpful, and kind. Her timely new book The Art of Happy Moving, is a comprehensive, upbeat guide to help you survive the moving process from start to finish, filled with fresh strategies and checklists for timing and supplies, choosing which items to toss and which to keep, determining the best place to live, saying farewell and looking forward to hello. Moving is a major life change–time consuming, expensive, often overwhelming, and sometimes scary. But instead of looking it as a burdensome chore, The Art of Happy Moving helps you to see moving as a new adventure. Whether you’re a relocating professional, newly married, a family with kids and pets, or a retiree looking to downsize, The Art of Happy Moving will help you discover ways to help make your transition an easier one—and be even happier than you were before.